The Tampa Bay area, which consists of Clearwater, St. Petersburg and Tampa, has become the primary attraction for vacationers who visit the west coast of Florida. Although the climate is deemed semi-tropical, tourists from around the world flock to this region to enjoy first rate theme parks, acclaimed museums and the beautiful Gulf of Mexico. 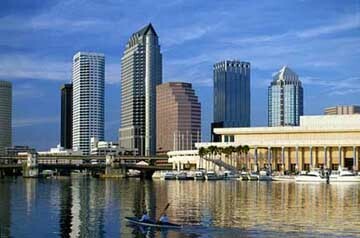 Tampa, home to the Tampa Bay Buccaneers, is the New York City of west coast Florida. High-rises grace the skyline while bumper to bumper traffic fills the streets. Despite the big city feel, there is something quaint and attractive about Tampa. Because of it?s convenient proximity to the Gulf of Mexico, Tampa has become a departure and arrival port for Carnival and Holland America cruise lines. While in Tampa everyone should take advantage of the opportunity to visit Ybor City. This Latin community was founded in 1886 when Martinez Ybor brought Cuban cigar manufactures to the city. Over the next fifty years Ybor City became known as the ?Cigar Capital of the world?. After many years of decline, Ybor City is once again the hottest spot to go in Tampa. A visit to this area will put vacationers smack dab in the middle of the flavorful Latin culture. Tourists can learn the art of hand rolling cigars or shop in one of the many specialty boutiques. The nightclub scene wins the award for being the best place to party on the west coast. Perhaps Tampa?s biggest attraction is it?s amusement parks. The most popular park is Busch Gardens. Located only eight miles from downtown Tampa, this 335-acre park is home to 3,400 animals and numerous heart stopping rides. The Kumba roller coaster, which races across the tracks at over 60 mph, will leave the stomach feeling like it has become the new home to a family of butterflies. Live entertainment, shopping, and dining are also abundant. Time to cool off? Head over to Adventure Island which is affiliated with Busch Gardens. Waterslides, artificial wave pools and a lazy river provide hours of entertainment for family members of all ages. 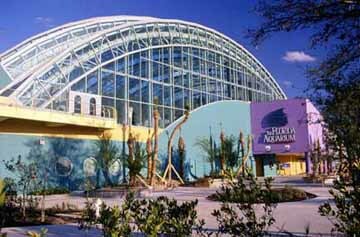 Tampa is also home to the Florida Aquarium. Over 4300 specimens are on display including over 550 species native to Florida. St. Petersburg, which is located on a peninsula across the bay from Tampa, is at the heart of what is known as the Sun Coast region of Florida. After years of neglect, this area is once again coming alive. In addition to it?s beach area, which is on a string of barren islands that face the Gulf, St. Petersburg is home to some highly acclaimed museums. St. Petersburg is rightfully able to boast that it houses one of the country?s most highly celebrated museums. 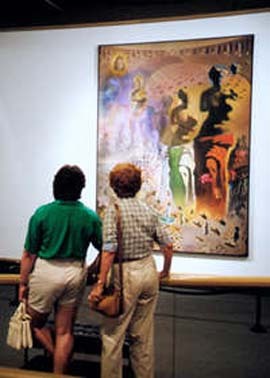 The Salvador Dali Museum holds the most extensive collection of originals created by the eccentric Spanish surrealist. The collection, which is valued at $125 million, consists of 94 oil paintings, over 100 watercolors and drawings, and 1300 graphics, photographs, and sculptures. Even those who are not familiar with the artist will appreciate the diversity of this collection. The St. Petersburg Museum of Fine Arts owns a collection of 4000 pieces in it?s permanent collection. Monet?s, Renoir?s and O'Keefe's are just a sample of the great masters that art lovers can see on a day to day basis. 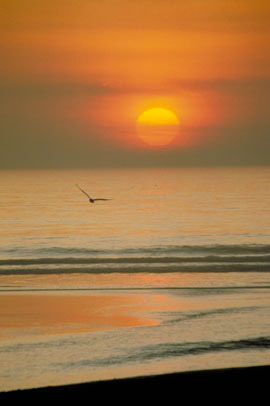 Clearwater, situated 12 miles north of St. Petersburg, is best known for it?s beaches. Clearwater Beach sits on a narrow barrier island between Clearwater Harbor and the sparkling blue waters of the Gulf of Mexico. College students flock to this area after a hard week of study and families enjoy the small town feel that Clearwater offers.